Brian Yoon hit the out he needed. Hand #70: Cuong Van Nguyen raised to 360,000 under the gun, and that was good enough to take the pot. Hand #71: Roland Israelashvili bumped it to 265,000 on the button. 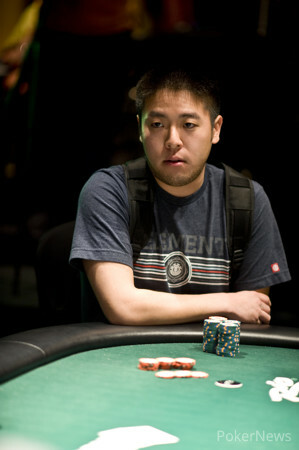 Brian Yoon three-bet to 725,000 from the small blind. Israelashvili folded after a couple of minutes of thought. Hand #72: Israelashvili took down the pot with a raise to 265,000. Hand #73: Israelashvili raised to 265,000 once again, this time from under the gun, and he took the pot again. Hand #74: Yoon raised to 240,000 under the gun, and Nghi Tran called from the button, as did Israelashvili in the big blind. 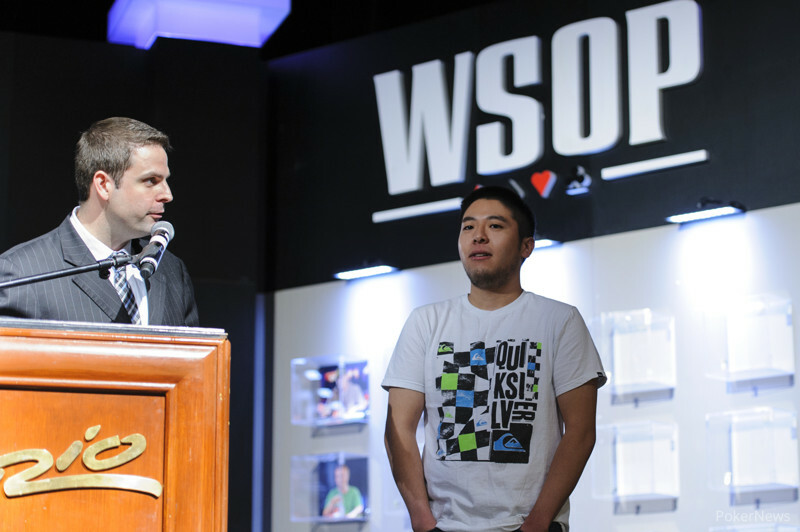 The flop came down , and Yoon fired a continuation-bet of 350,000. Tran raised to 750,000, and Israelashvili got out of the way. Yoon thought for about a minute before shoving all in, and Tran beat him into the pot. Tran had sprung a trap by flatting with aces, and Yoon had fallen into it with his open-ended straight draw. "Six-ball," someone yelled from the rail. The dealer burned and turned, and sure enough, a completed Yoon's straight and left Tran drawing dead.